The space we live and work in has a very real impact on the way that we feel. The way that we feel has a very real impact on our attitude towards what we need to do. For children, this is no different and in fact, children are usually even more aware and sensitive to their surroundings. This is especially so for students with those with specific sensory needs. Their physical environment can either calm them and make them feel safe and, therefore, open to learning, or make them feel a whole lot worse and therefore closed to learning. Your school environment can enrich the curriculum and opportunities that you provide your students with. It can enthuse and motivate pupils to be ready to learn – in short preparing them with a positive attitude to learning the moment they walk in the door. Your school environment can calm and relax, intrigue and excite – the possibilities are huge and can be varied in aim from area to area. Aesthetics can affect our decisions, emotional responses and the way we feel about ourselves, other people and the places that we are. 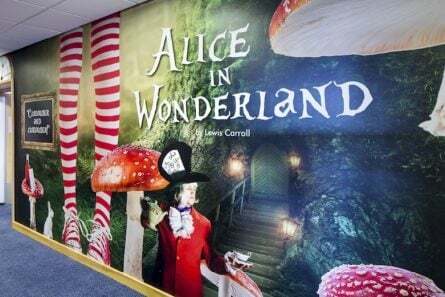 If you provide an aesthetic environment that makes people feel happy to be there, then they will be more able to learn, therefore, having an impact on their progress and success which will create a positive attitude to learning. For some children it can be the key to getting them in the door when school is not a place they feel they want to be. The same goes for parents too. If you are looking to increase parental engagement – starting with the aesthetics of the school can have a real impact on parents willingness to visit, get involved and therefore support their pupils in their learning. 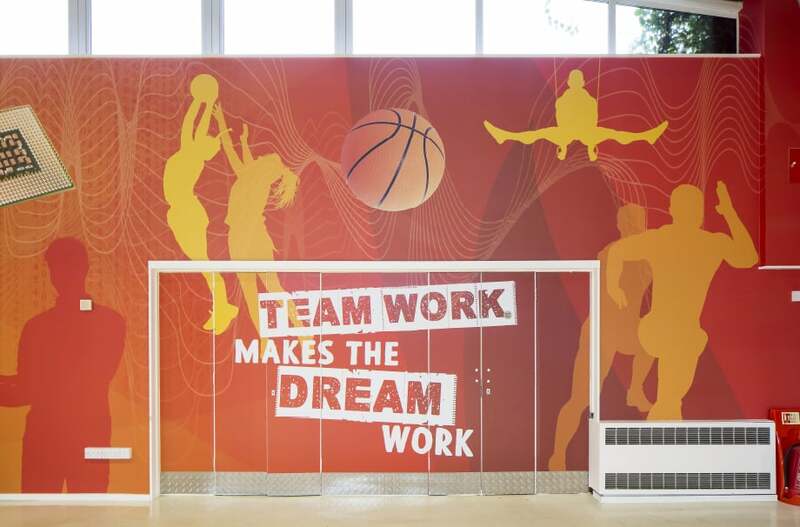 This isn’t all just a theory we have because we love to work with schools to bring their walls to life. Scientists and psychologists agree! There are two fields that neuroscientist and psychologists are working on that proves just how big an impact aesthetics have on our feelings called: embodied cognition, which focuses specifically on the effect of the aesthetic environment on cognition and neuro-aesthetics which looks more at the biological role of aesthetics. In short, these fields tell us that the colours, the textures of the walls floors and ceilings, the designs on them, the lighting and the design of the room space influence how people perform in that area. Alain de Botton has completed a lot of work based on this theory. In his book The Architect of Happiness he compares the design of fast food restaurants which he perceives are deliberately designed to be bright, harsh and uncomfortable in order to move us on quickly, to the interiors of places like Westminster Cathedral where the décor encourages people to stay, soak it up, enjoy and feel serenity and peace. 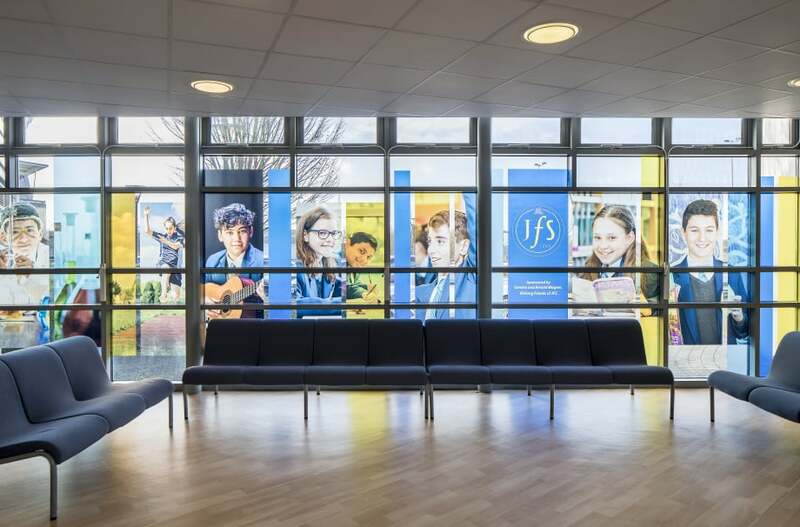 As a school you may wonder how you can create an environment that could be the right one aesthetically for all pupils with their vast ranges of needs. By zoning areas, you can create places that feel safe or appealing to different students. Zoned areas can tune students minds into the lessons ahead and encourage them to approach their lesson with the attitude towards their learning that you are looking for. 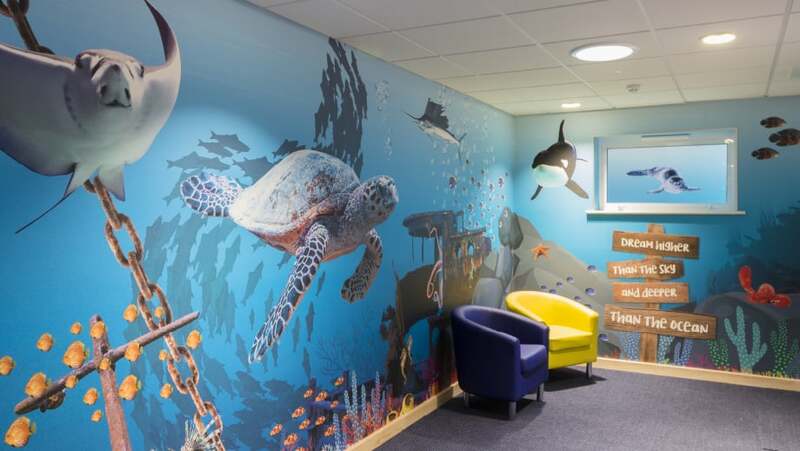 Calming break out zones such as interventions rooms, canteens and break time areas can provide a space to release the tensions and relax between lessons, energising students to engage positively with their next session. 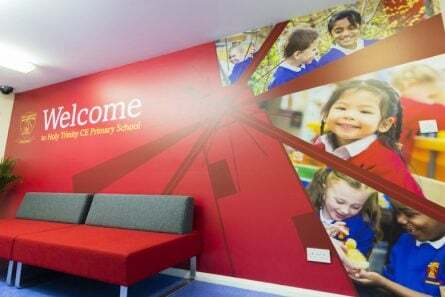 Communal areas such as your hall, with Wall Art about values, mottos and houses, for example, can create a feeling of unity and belonging, teamwork and collaboration which brings the school community together in a positive way. Fundamentally, it is about creating an environment that is meaningful to the broad group of students that you have i.e., relevant to their age and aspirations and evokes feeling, whether it be calm, excitement, aspiration, belonging. The messages can vary from area to area but the fact that you place value on their surroundings is an excellent place to start showing students that their well-being and comfort in school is valued. Well adjusted, happy, safe pupils will be pupils who have a positive attitude to school and who make more progress. 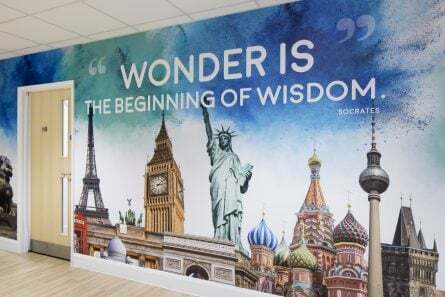 If you would like to discuss how we can help you to improve your learning environment using Wall Art, please contact Lisa Savage on lisa.savage@promoteyourschool.co.uk or 020 7404 3400.